Also could be your case? I'm already on Twitter and Facebook, means anonymous? Two examples, thousands of cases. Internet is not secure, nor ceases to be simply a platform where we can find people of all kinds. 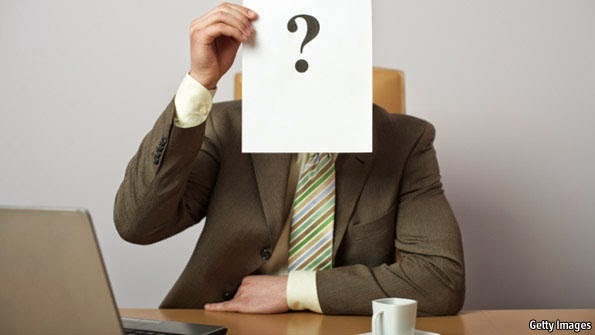 Anonymity whenever possible when using the Internet can be crucial to avoid some of the risks that we are on the Web. Security experts do not stop telling us how important it is not to give personal information over our lives, or where you live in places like social networks. Not bad that our friends can see where you live, or know where we've gone on vacation, but the truth is that often we do not care to people who can see that data, and even make them public, thinking is trivial information . And maybe us fit the following profile. Aisha is a girl of 25 who use social networks daily. Part of their work. Knows perfectly and often regularly publish messages in different social networks that have open an account, which includes things like what you eat, when you come home, or when the apartment is on the beach in which summers. Never considered that this could be a risk for her. I wanted to use their social networks to get a new and better job, and made public all information about it available on Facebook: what she studied, where she worked, where she lives. At the end of the day, so she could learn more about those who were interested in hiring her if they seek information about it on social networks. What ever thought Aisha is a band dedicated to burgle houses monitorizaba accounts of their city to see when someone is going on vacation, so knowing that her house would be free. For Aisha, all information was accessible to anyone on the planet, so it did not take long to get into your house, take electronic devices and products of value, and relock the door to leave. Aisha could only realize this more than a week later, when it became totally impossible to track down the thieves of the material. One can not be completely anonymous on the Internet, for example, saying that goes on vacation without ever said where he lives. And if you have not already, and they do not want to give up the possibility of sending a photograph of the beach, remember that you do not have to say to the four when winds you go, when you arrive, how long will you be gone, or if the house will stay empty. On the other hand, if you're going to post on Facebook a photo or message, remember that you can establish a level of privacy, so that only a group of your users to see. Perhaps you could create a group of "trusted users" you have selected as the default, and you send things when you do not want them to see all precisely else. I'm already on Twitter and Facebook, anonymous? But talk of anonymity. And one wonders. If I'm already on Facebook and Twitter if I've even searched on Google and find my notes of selectivity, and seek my ID and are all my data, how is it possible to be anonymous? You can not disappear from the Internet, for sure, but you can prevent people relate all information. And perhaps the case of Steve you may be, if not familiar, worrying some cases your family or for yourself. Steves was a 17 year old who used to play video games. The world of online games led him to play with people around the world, something that is quite common nowadays and it does not have to be dangerous. However, that also means having to play with people of all kinds, some of which indeed could be dangerous. Steve participating in an online league that most users give their full and real name. And he had to play a game with another user who eventually won Steve. During the game he received insults, which is also shared by the loser. The biggest problem was that the situation got worse. This other user was not just a player, but part of an aggressive band. He left in peace to Steve at any time, and continued sending threatening messages, long after the end of the match. Obviously, it did not take long to locate the full name of Steve, and their social networking profiles associated with your account as a player, and managed to find online the direction in which he lived. One day, Steve received a threatening message to this user, indicating that he knew where he lived, and to be very careful because some day I would go to visit him. This latter situation is not so uncommon. Among the insults, and more, there is only one step, and if we do not maintain anonymity, we could make it easier for dangerous people we can find online. Steves's family reported the situation to the police, and although try not casually, living with some concern that this message comes true one day and meet with undesirable consequences. How could it have been avoided? If we can not control all the information out there about you on the Internet, maybe yes we can avoid recognizing who we are in certain environments. The same league that allowed Steve participated enter an alias, and it was not essential link to their profiles on social networks. The user sets Steve might have been anonymous, and other dangerous user you have played, could not have known beyond a simple nickname that Charles used in the game, with no means to locate. Two examples, thousands of cases. However, these were just two examples, very common, something that could happen if we do not act with caution when using online services. Internet is a wonderful platform that allows us to contact people who are on the other side of the world, yum people you never would have met otherwise. But curiously, it can also make us to relate to dangerous people in our neighborhood and normally would avoid walking down the street. When using the Internet, we know who we are contacting therefore the recommendation is always the same, all too careful when it comes to surfing the Internet. It is essential to use common sense, avoiding as much as possible to give information publicly, and try to act on Internet as we would in real life.